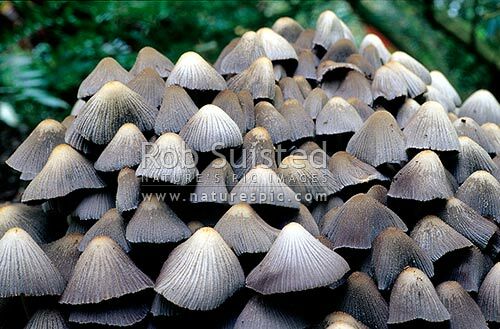 Inkcaps toadstools - (Coprinus atramentarius). A colony of toadstools. Close up, Wellington, Wellington City District, Wellington Region, New Zealand (NZ), stock photo.